Westside Tile and Stone is one-stop-shop for the most modern and stylish tiles with durability and strength. We have been in this beautiful business for the past many years and is known for the quality, perfection, and incredibility. We offer a wide variety of unique, astonishing, and eye-catchy kitchen flooring, bright and airy shower wall tiling, and various styled countertops options for you to choose one which suits your needs. We at our showroom have a vast collection of modern style pattern tiles, durable and resistant bathroom floor tiles, slabs, coloured and neutral backsplashes and natural look stone tiles, and the list goes on. To keep your place classy is mandatory, it not only increase the value of your property but leaves a great impression on others. We carry unique, hard to find products and all available at the most affordable prices. 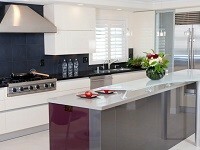 So, visit our showroom and search the best products out there. Westside Tile and Stone – A leading name! 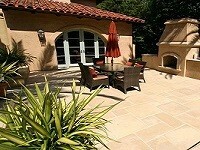 OWe are the leading best tile contractor in Encino, CA for over 13 years. The reason for our success is our quality, the employees that keep it up, and our passion for our business. The in-house designers at our tile store Encino, CA are also well-trained about different styles, patterns, and fashion in the latest tiling trend. We offer unique, hard to find tile design, style and material ranging from natural ceramic and porcelain to durable marble and granite stone to elegant glass and saltillo tile, that too at the most affordable range. So, all you need is to give us a call and get the most competitive pricing by our Tile and Stone store in Encino, CA. To give your space a new look, we have vast collection of stone and tile material of latest trends, Limestone Tiles, Marble Tiles, Sandstone Tiles, Travertine Tiles, Granite Tiles, Slate Tiles, Saltillo Tiles, Arabesque tiles and Beveled Tiles to serve in the greater Los Angeles and surroundings.